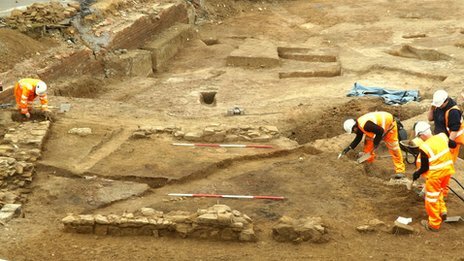 Objects dating back to the 10th Century have been discovered at the location of Northampton's new railway station. 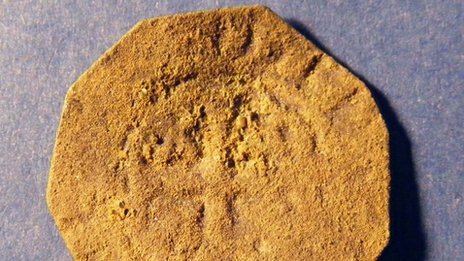 The latest finds by archaeologists at the site, once home to Northampton Castle, include a medieval silver penny and two Saxon oil lamps. 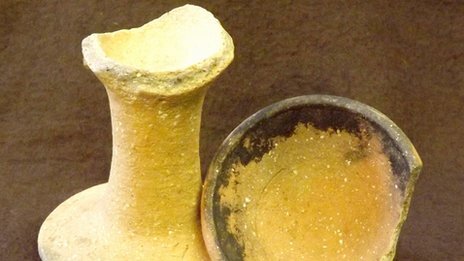 Andy Chapman from Northamptonshire Archaeology said: "The findings helped to paint a picture of how people lived and worked over 1,000 years ago." The dig has now ended and the station build starts later this month. The latest finds join a wide collection of artefacts uncovered in the three-month long excavation, ranging from a medieval sharpening tool to a Saxon brooch. The outline of a 12th Century ironstone building was revealed in the castle's outer bailey. Experts believe it would have been a workshop. "It has been a rare chance to learn more about Northampton Castle, as well as the old Saxon town, which gradually grew into the Northampton of today."